You’d think we’d all be used to the summer days by now, especially living in Southern California where the temperature can get up to 100 degrees and more. We look forward to the cool when the heat is on and we look forward to the heat when it gets too cold. And, in the middle of nature’s way to balance life, we find our way to survive the season we are in. While wearing cooler clothes, turning on the AC or not leaving the house until the temperature drops in the evening is a given, sometimes we forget there are other ways to keep ourselves cool during the summer heat. Hydrate and hydrate some more and include some coconut water if you can. There are other natural spa water recipes that can do wonders for your body temperature and ultimately your skin. 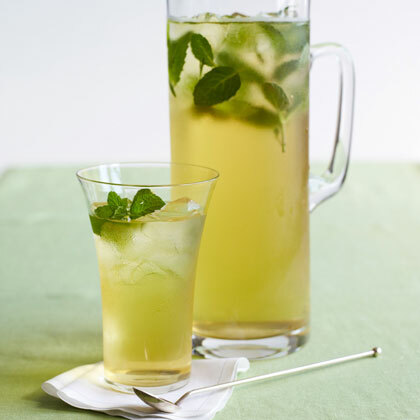 Enjoy ice cold and add some mint leaves for an extra punch. One of the best naturally cooling fruits is watermelon. Not only does watermelon lower inflammation and provide other benefits like it may relieve muscle soreness, may improve heart health but watermelon absolutely hydrates the body. Watermelon has an extremely high alkaline score. Alkalinity is associated with higher energy, better digestion, increased mental function and a decreased risk of almost every disease. 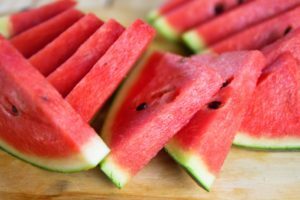 If you want to get your whole family in on the benefit of watermelons, the easiest ways is to dice up cubes of this alkaline fruit and put them into small containers stored in the refrigerator. Once it’s easy to grab and ready to eat, they and you will indulge in some much-needed nutritional hydration. When you’ve had a really good facial, it leaves you feeling like your entire body was soaked with coconut water. Adding rose water spray to your daily self-care routine will hydrate your skin and a spritz or two will become a handy pick-me-up in the heat. Place the water in a spray bottle to store (I keep mine in the refrigerator) and discard the petals. 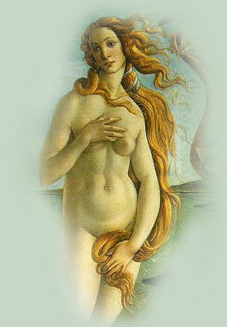 Once you get into the groove of spritzing rose water on your skin, you will start the enjoy all the benefits. If you have any amazing tips to share on how you’re staying cool this summer, please share.